During the Florida Parent Educators Association Homeschool Conference in May, we went to a session by Jim Weiss on the importance of story. My husband and I both liked what he had to say on the topic and the pointers he gave for telling a good story. We found out he was the reader for one of the versions of the audiobook, The Story of the World: History for the Classical Child. I had been considering this curriculum for our kids and this clenched it for me. 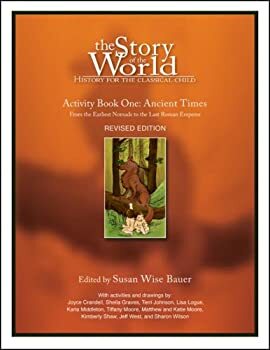 We have just started getting into The Story of the World, Activity Book 1: Ancient Times - From the Earliest Nomad to the Last Roman Emperor. Chapter 1 is on "The Earliest People." None of the additional reading suggestions in the activity book were available at our library, but I found some others that went well with our topic. The Secret Cave is a fictional representation based on true events surrounding the discovery of the Lascaux Cave in France during WWII. The book was the perfect preparation for our activity today - making cave art! 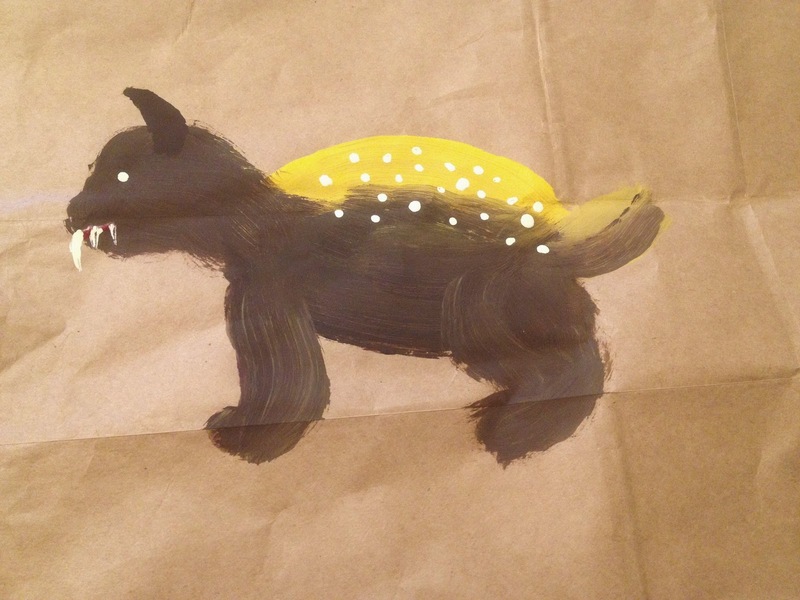 We used paper bags and some acrylic paints in the limited hues that prehistoric peoples would have had. Seeing all that left over paint, I decided to try my hand at a little cave art as well - a newly discovered prehistoric species. Ha!